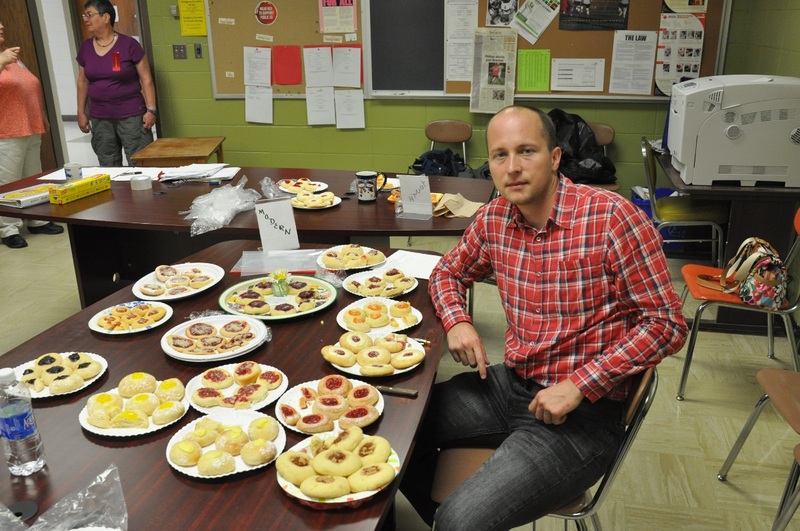 This past weekend I had the honor of judging the kolache baking contest at the Czech and Slovak Festival in Phillips, WI. It’s a tough job, but somebody has got to do it! 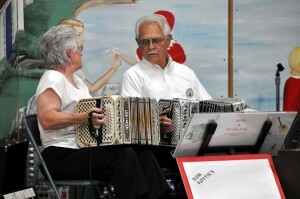 This was the 28th year this festival was held. The festival takes place every 3rd weekend in June, and among other things, serves to commemorate the massacre that occurred in Lidice, Czech Republic, on June 10th, 1942. On this day, all men of the village older than 16 years of age were shot to death by the Nazis in a public execution, the women were rounded up and sent to concentration camps, and the children were taken away, and subsequently gassed in mobile execution vans. This was Hitler’s retribution for the assassination of Reinhard Heydrich, the protector of the Czech lands during the Third Reich. His assassins were Czech paratroopers trained in London, and it was believed they had some connection to the village of Lidice. 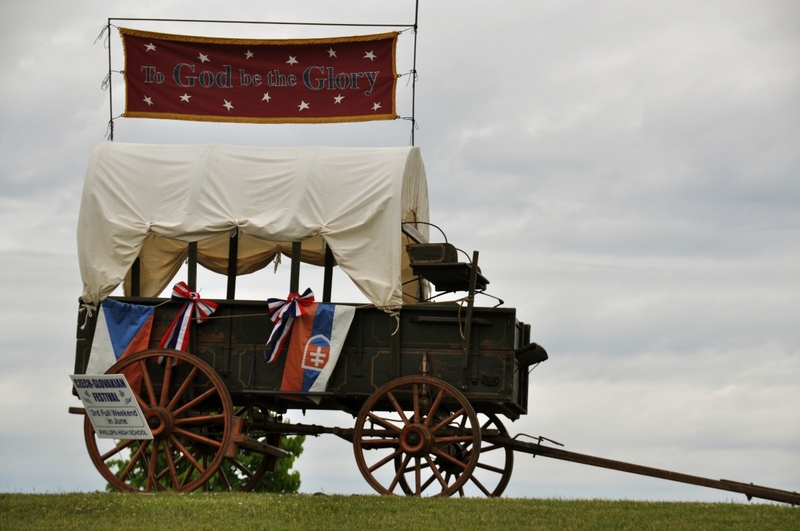 The town of Phillips, WI is home to many Czechs and Slovaks, and houses a monument dedicated to this atrocity. But onto some lighter topics. 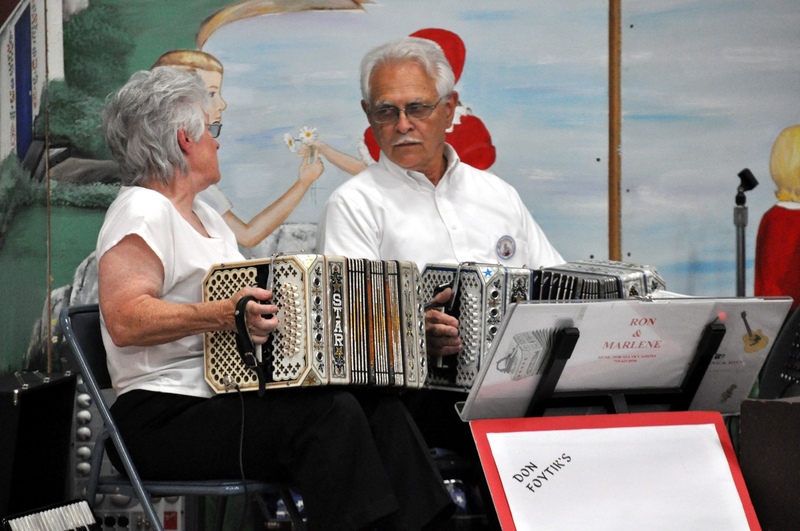 The festival consists of many activities, such as Wisconsin State Czech-Slovak Queen Pageant, Czech and Slovak singers, Polka music, mass, and sausages and jaternica lunch. 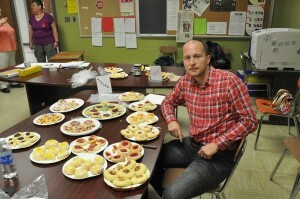 And of course, the kolache baking contest. Rules are quite simple: you need to bring 6 home-made kolache, and the judges rank them based on taste, texture, smell, and looks. 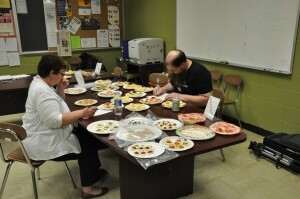 This year I got to be one of the judges. 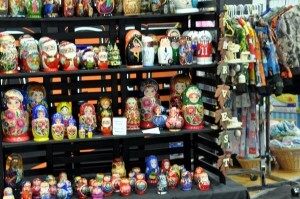 There were total of 4 tables containing koláče. One had entries in the youth category, the one we are sitting at had the modern and pastry kinds, another one had traditional entries, and the last one contained the three entries in the largest kolach category. The modern kolache were similar to the traditional ones, in that they were made of leavened dough, but were topped with non-traditional toppings, such as apples, lemon, or custard. 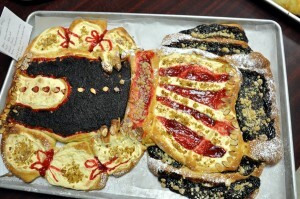 The traditional ones were topped with poppy seeds, tvaroh, nuts, or plum jam. 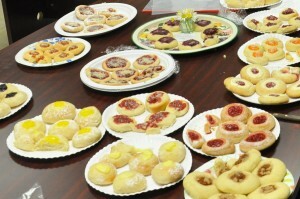 The pastry ones were more free form, and included turnovers and kolache made of shortbread. 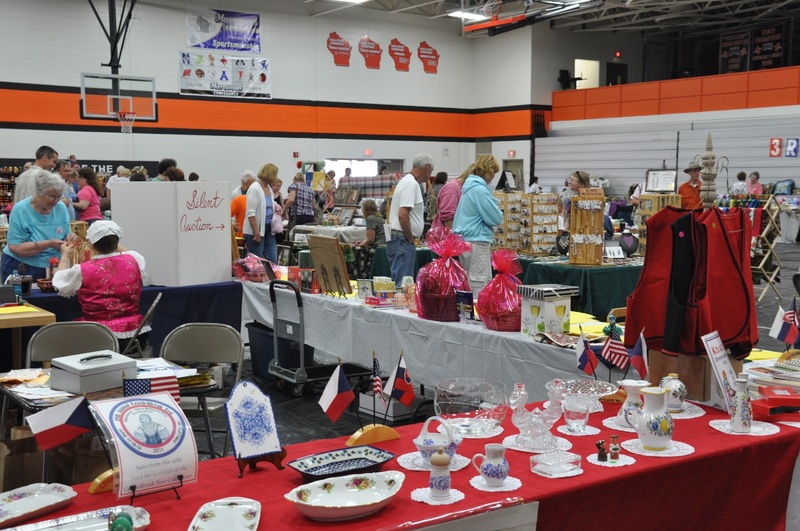 Finally, the largest kolach category included one giant circular kolach, and two decorated ones. My favorite of all was the amazing kolach in the shape of a kroj baked by Janet Kuzma, wife of Joe Kuzma from the Western Fraternal Life Association (WFLA). 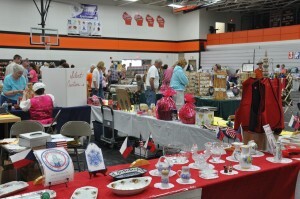 Close up of some of the entries. 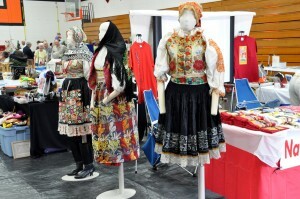 On the right is an amazing koláč in the shape of a kroj (the traditional folk outfit) baked by Janet Kuzma. So what did I think of the kolache? Although most of them tasted very good, none were quite like what I am used to from Slovakia. Out of the 40 or so entries, not a single one was brushed with yolk before baking. This gives the finished product a nice brown glaze, which, at least from what I remember, is pretty much standard (photo of mine). Many of the leavened kolache were also not rolled out thin enough, or the center was not punched down sufficiently. 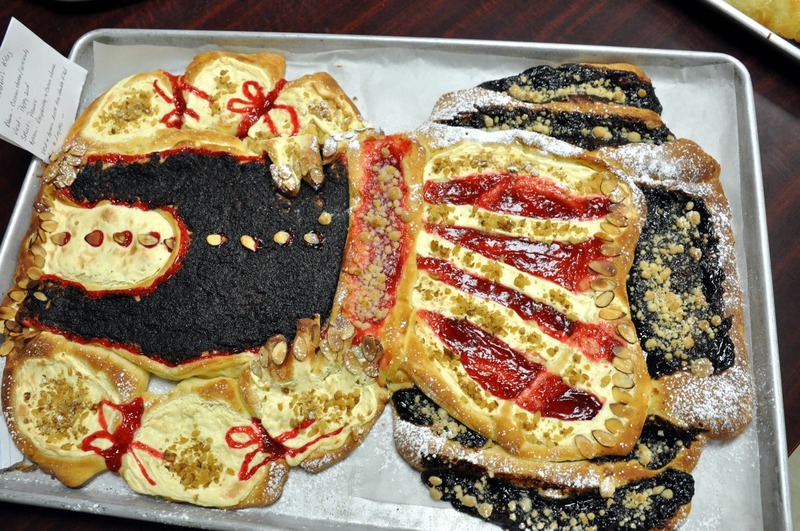 This made the center rise, and the kolach ended up looking more like šišky, the Czech/Slovak fried donuts. 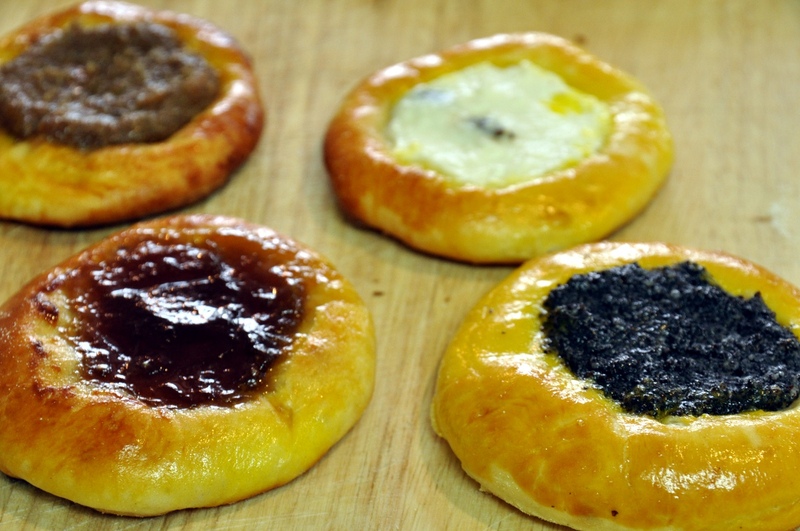 It is also common to sell kolache divided into 4 quadrants, each containing one of the 4 traditional toppings (poppy seeds, walnuts, tvaroh, and plum jam). I didn’t see any like this either. Maybe next year? Few photos from the festival. 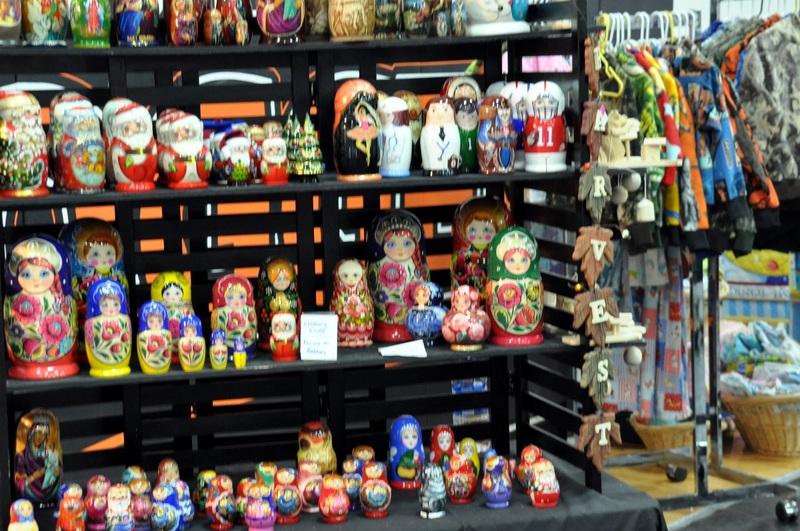 Although the stacked matryoshky dolls are not traditionally found in the Czech and Slovak culture, they are now often sold in souvenir shops, probably due to the prevailing association of everything East-European with the Russian culture. On the right are kroje, traditional folk outfits. Just like Janet’s baked creation! The boat-drawn carriage the immigrants arrived on? Never had a koláč? Bake one at home, it’s quite easy! Thanks for the great article on your blog. I am sorry that I didn’t meet you at the festival. I am the Director for the Wisconsin Czech Slovak Queen pageant. It seems now that I was always with the Queen Pageant young ladies and Little Sisters so missed so much of the rest of the festival. Wish I had meet you. I know my friend, Toni is a friend of yours. I had a great time making it too.